We are still suffering through cold and dreary/rainy days. I know our weather here is just nothing in comparison to the weather our northern friends are enduring. I wish warmth and safety for everyone in the north. So, for today’s post I thought I share this beautiful Dahlia to hopefully bring a smile to your face and a lift for your day where many are wishing for a peak at the sun. Such beautiful shades of red, crimson and pink !! A delight to look at !! Gorgeous colors & awesome capture Linda, beautiful shot! 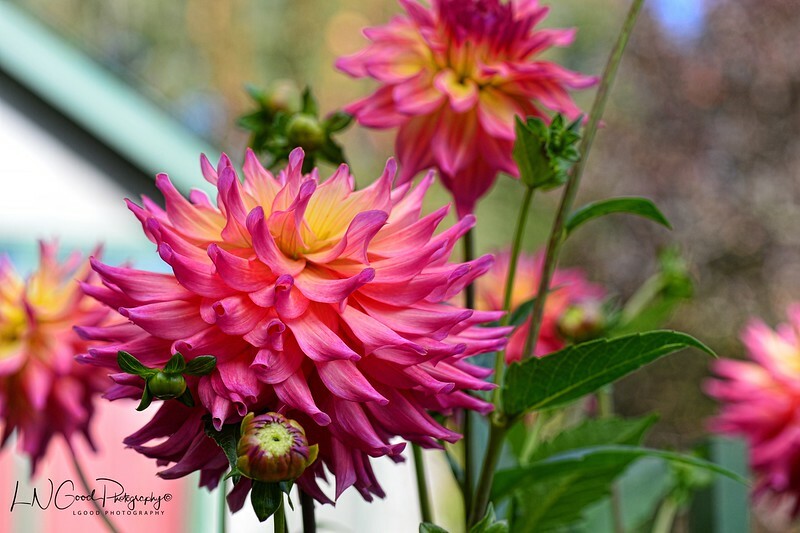 Linda, You did a magnificent job capturing this beautiful pink dahlia. A just beautiful dahlia! Great visual therapy for us all. It's finally sunny today, after several days of (much needed) rain--with the clouds gone, we can see snow capped mountains all around. Beautiful.